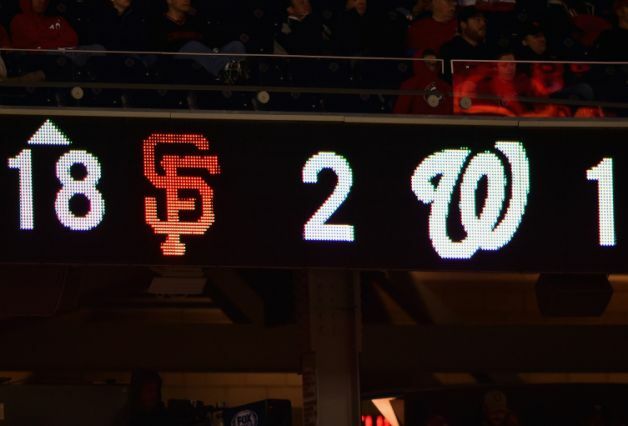 The Giants and Nationals played 18 innings, which means I could take my wife out for an anniversary dinner, come back and not miss the biggest highlights of the day! I praise and learn how to pronounce Yusmeiro Peit! It is a romantic episode of The Sully Baseball Daily Podcast. Matt Kemp, Zack Greinke, Buster Posey, Yusmeiro Petit, Jordan Zimmermann, Anthony Rendon, Lance Lynn and Matt Carpenter all owned October last night. This entry was posted in Los Angeles Angels of Anaheim, St. Louis Cardinals, Sully Baseball Daily Podcast, Washington Nationals and tagged 2014 Division Series, San Francisco Giants, Yusemeiro Petit, Zack Greinke. Bookmark the permalink.